Any reason to bring this up again? Well, yes, Arka's ban was meant to only be a 1 week ban, but he kept on making alternate accounts that I believe we ended up banning him for longer. From what I can recall, he is the only one to be banned so far. 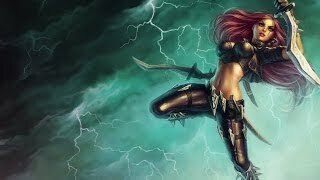 The top rated He Bo guide on SmiteFire! My rather unimpressive and slowly growing anime list! Probably wrong thread but since you mentioned history of smite, where is m4xiimus? I saw him last year but now he is gone?? why does wukong look so much different now? Who the hell is Akra? Did I miss something? He caused drama, now he's banned. We really shouldn't bring topic up what's in the past should be left in the past. Nothing much. From what I remember, he was, while a tad illiterate, very involved for a couple months. Something happened, I can't remember what, but he got into a HUGE argument over something about his thread or something being deleted/moved for being posted in the wrong area and being very off topic. A huge argument ensued, with him being angry at the mods and admins, and many arguments in several threads breaking out, resulting in him being banned and creating other accounts on smitefire. He hasn't been back since. Yea I think we are handling it like he was a terrorist.